April 15, 2015, QUEPOS, Costa Rica. — The fleet of 67 international teams from 28 countries charged out of Marina Pez Vela under picture perfect conditions yesterday, April 14,th for day two of the 16th Annual Offshore World Championship tournament. The end result was a new single day tournament record with 940 sailfish, 1 black marlin and one striped marlin being released.The white hot bite continued from day one with several teams recording multiple double and triple hook-ups during the day. Team Torneio de Peixes de Bico, Brazil, caught-and-released 30 sailfish and weighed a 28 pound wahoo to claim the top team spot for day two with 6,028 points. 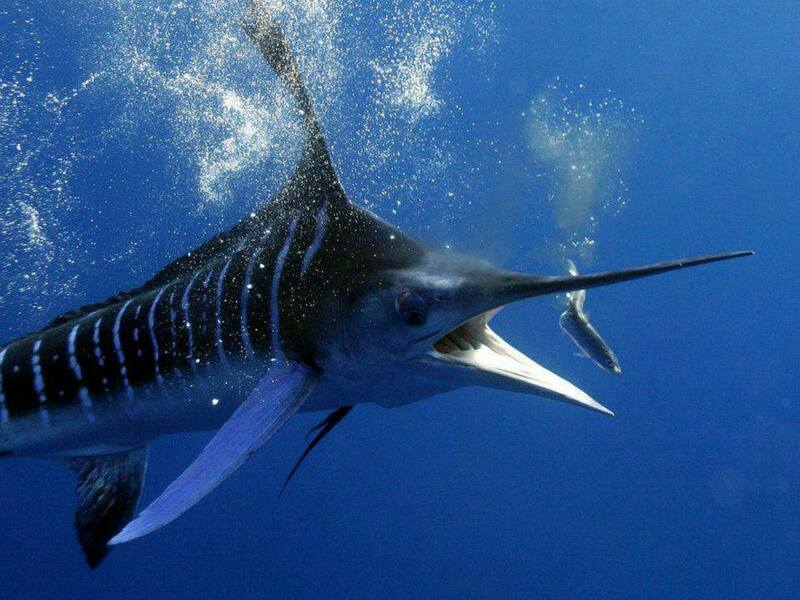 The Championship Anglers are mainly targeting sailfish worth 200-points per release but should they encounter and best a blue black or striped marlin they will earn 500 points per release. This entry was posted on Friday, April 24th, 2015 at 9:32 pm and is filed under Uncategorized. You can follow any responses to this entry through the RSS 2.0 feed. You can leave a response, or trackback from your own site.